Backyard Early Summertime in New Jersey: Firefly Trails. 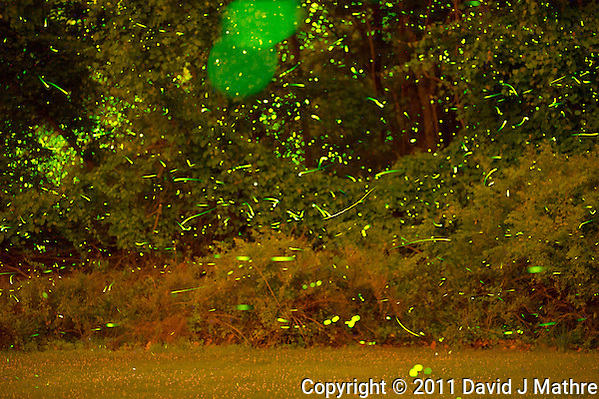 Yesterday was the first day of summer, and my backyard is full of fireflies. I set up a camera to take 25 second images, and then used the Startrails program to combine ~150 image (ISO 400) for the first image and then ~100 images (ISO 6400) for the second image. The D3s can see in the dark, and I didn’t take it all the way up to 100K ISO. Backyard Fireflies. Early Summer in New Jersey. Image taken with a Nikon D3s and 200 mm f/2 lens (ISO 400, 200 mm, f/2, 25 sec). Images processed with Lightroom 3, Startrails (used to stack 150 images), and Photoshop CS5. 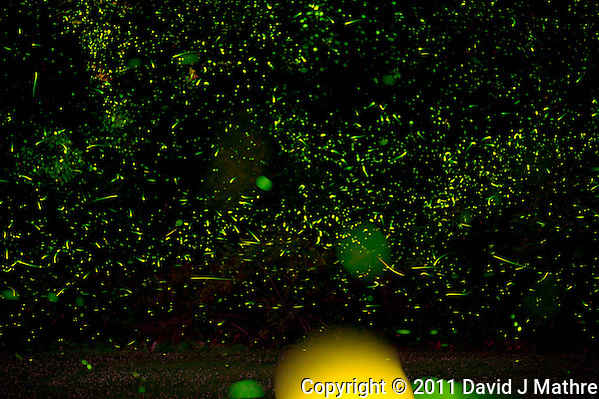 Backyard Fireflies. Early Summer in New Jersey. Image taken with a Nikon D3s and 200 mm f/2 lens (ISO 6400, 200 mm, f/2, 25 sec). Images processed with Lightroom 3, Startrails (used to stack 100 images), and Photoshop CS5.